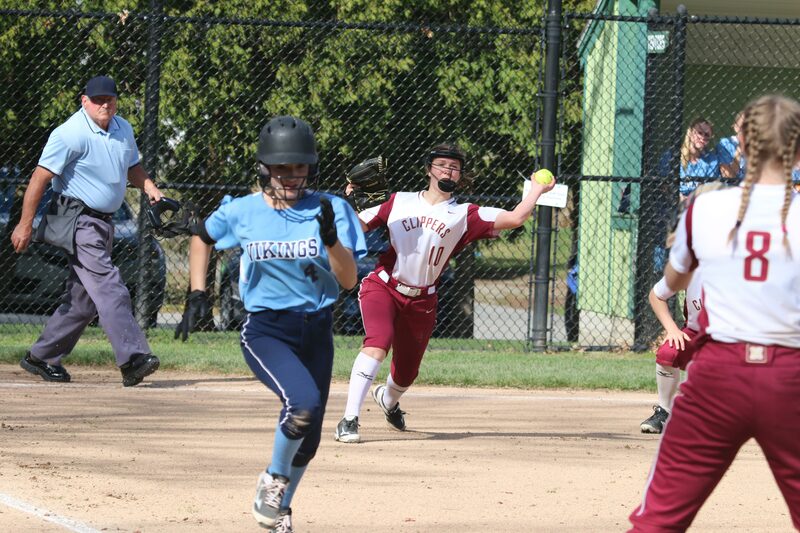 (Newburyport MA) It may be time to start taking the 2018 edition of the Triton girls softball team seriously. 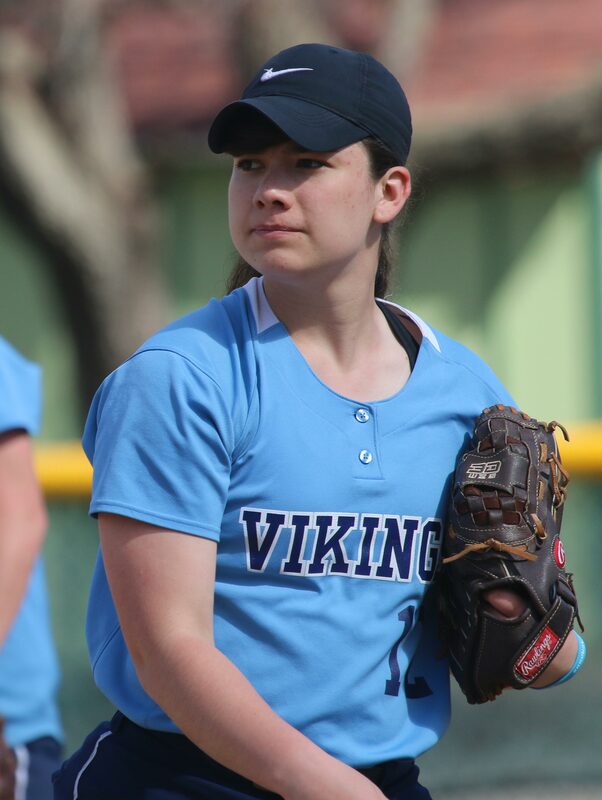 The Vikings (8-1) dominated Newburyport 17-1 in five innings on Tuesday afternoon. 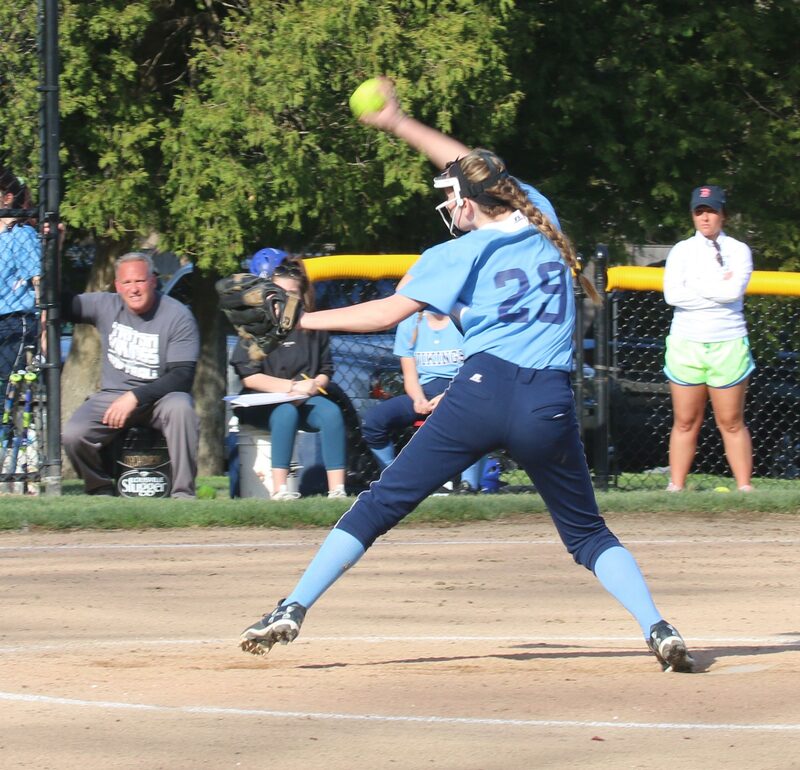 “We did everything right today,” said Triton coach Dave Dupere afterwards. And who could argue? Want hitting? 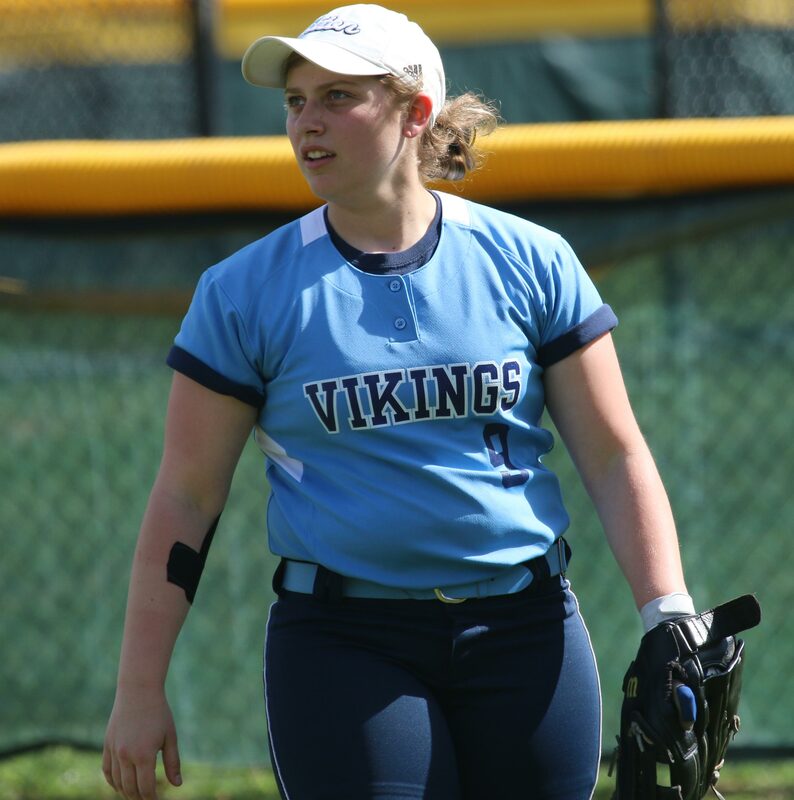 The Vikings had sixteen hits including four by senior Olivia Doane. The visitors scored in every inning and jumped off to a 5-0 lead in the first inning. How about defense? No errors on this afternoon. Pitching? 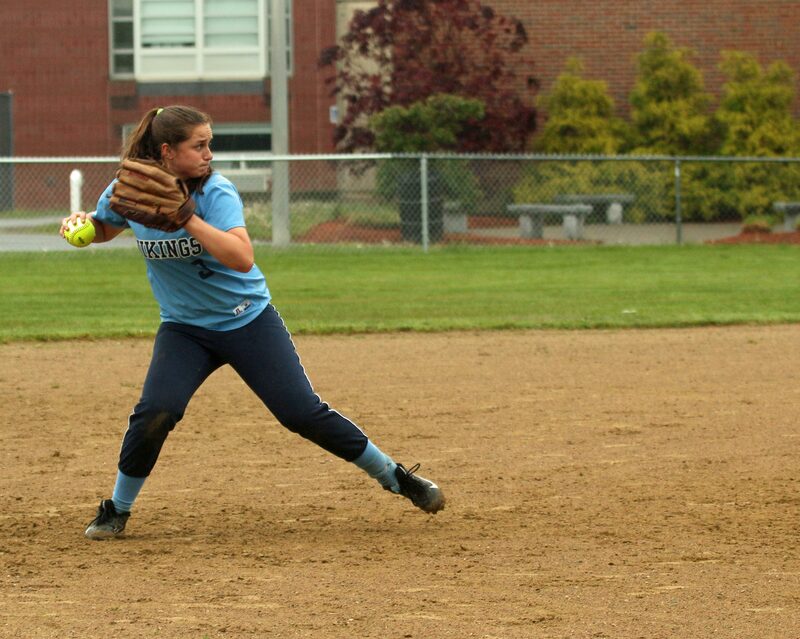 Sophomore Katherine Quigley scattered seven hits with only one walk. It was a rough afternoon to say the least for the Clippers (4-3). 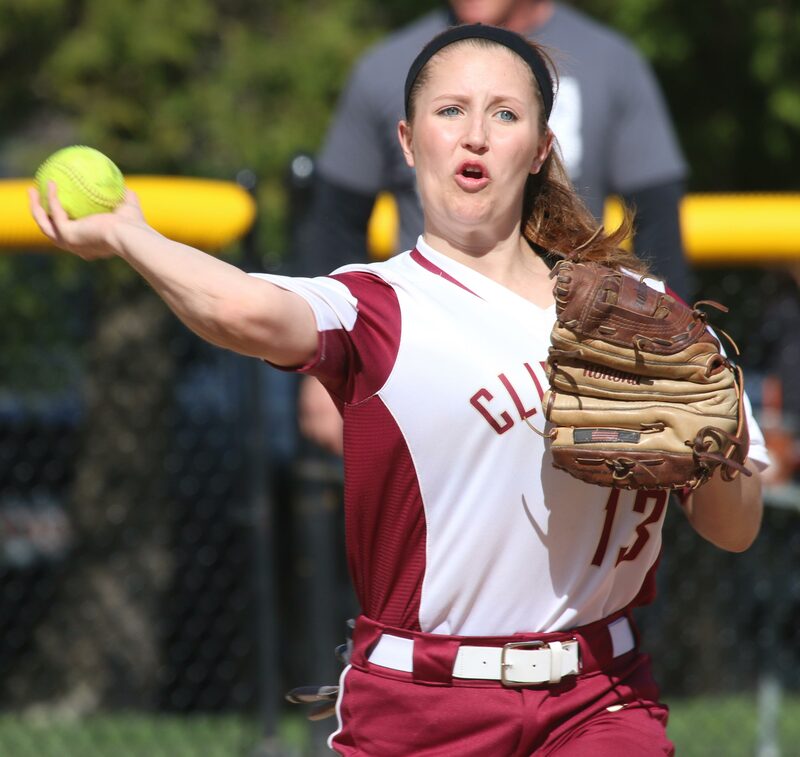 Pitchers Paige Gouldthorpe and Annie Siemasko struggled with control (eight walks). 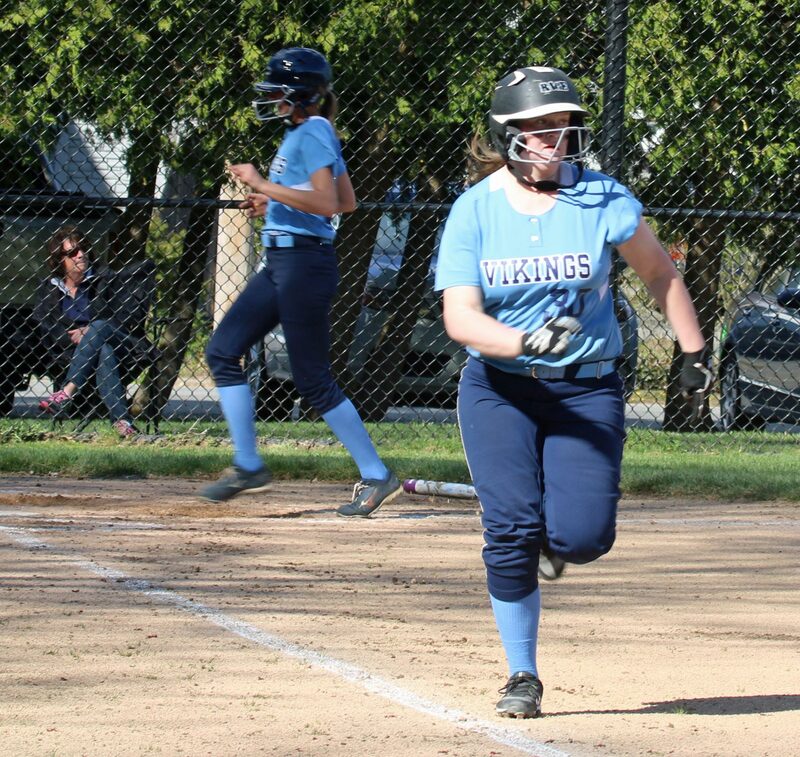 Viking runners flooded the bases and were quick to take advantage of numerous wild pitches and passed balls. The Clippers hadn’t played a game in a week and that could well explain an off afternoon for them. The Vikings have now won five straight and have evened their series at 6 with NHS since the 2012 season. The home team was able to push across a run in the 4th inning as freshman Cali Caponigro drove in senior teammate Courtney Walsh. 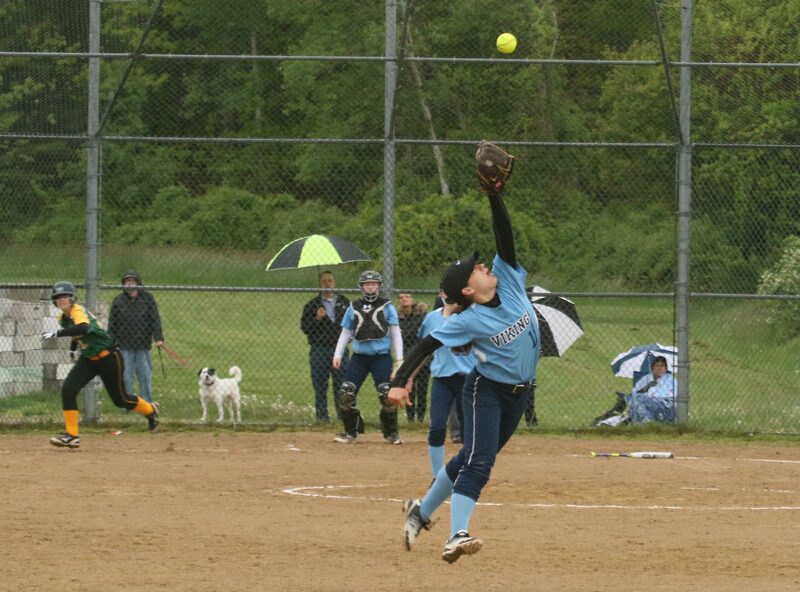 Cali also made a nice play in left on a sinking line drive. The two Division 2 opponents will meet again at Triton on May 16th. 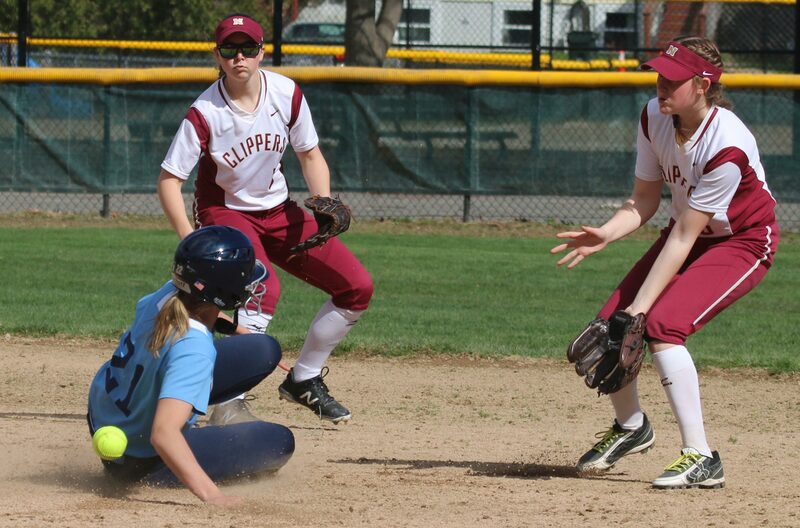 “After losing to Newburyport twice last season our girls came ready to play today,” added Coach Dupere. 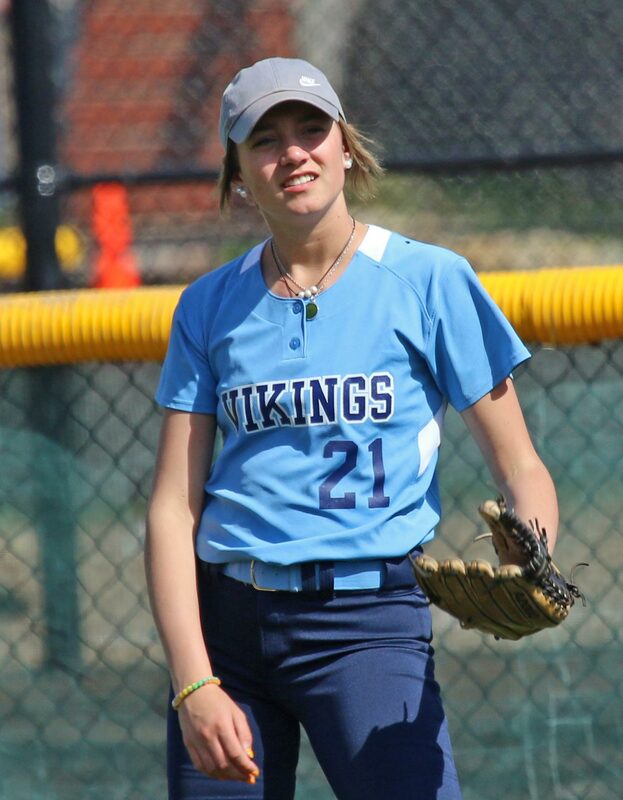 The only game that Katherine didn’t pitch (she was sick) was the 25-15 slugfest the Vikings survived with Pentucket. 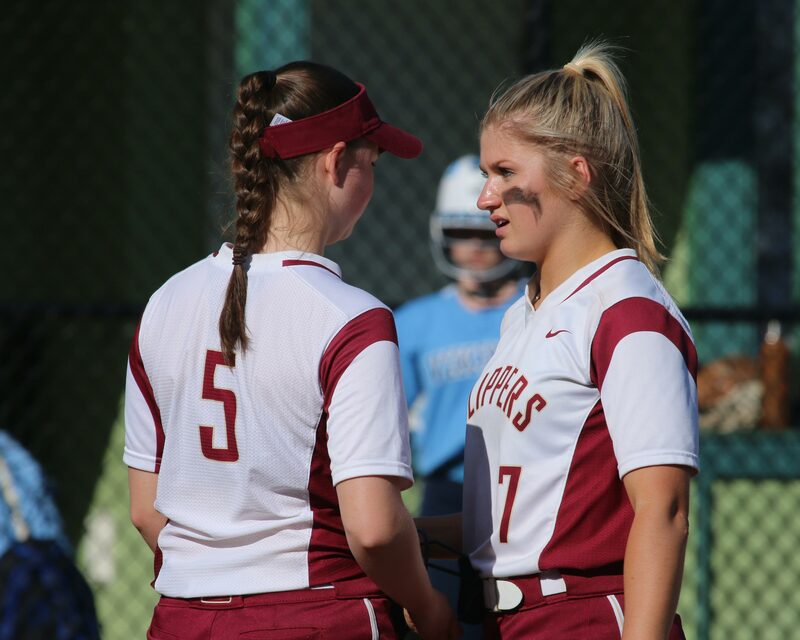 Today’s game featured two of the Cape Ann League’s best players; juniors Bridget Sheehan (shortstop) and Annie Siemasko (centerfield). They were CAL All-Stars in 2017. 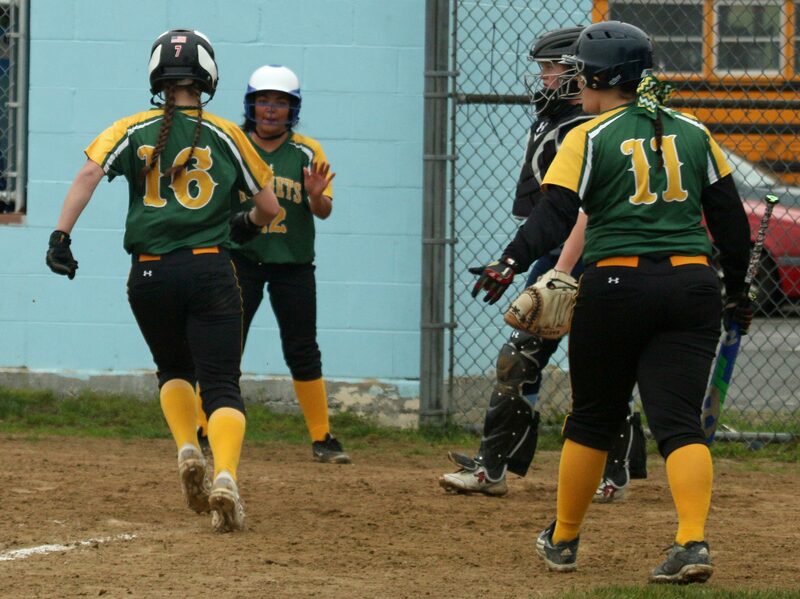 Triton batted around in the first inning (five runs) and the fourth inning (six runs). In the five innings this game lasted the Vikings left twelve runners stranded. I was at the NH Fisher Cats (Toronto Blue Jays AA team) game last night in Manchester. All I do at those games is take pictures. High school games? Add scorebook keeping and digital recording to the mix. I’m lucky to get the score right with all that going on! However, there was a working scoreboard in use at today’s game, so I know that the final was 17-1. Nice weather today. 80’s tomorrow? Why not! 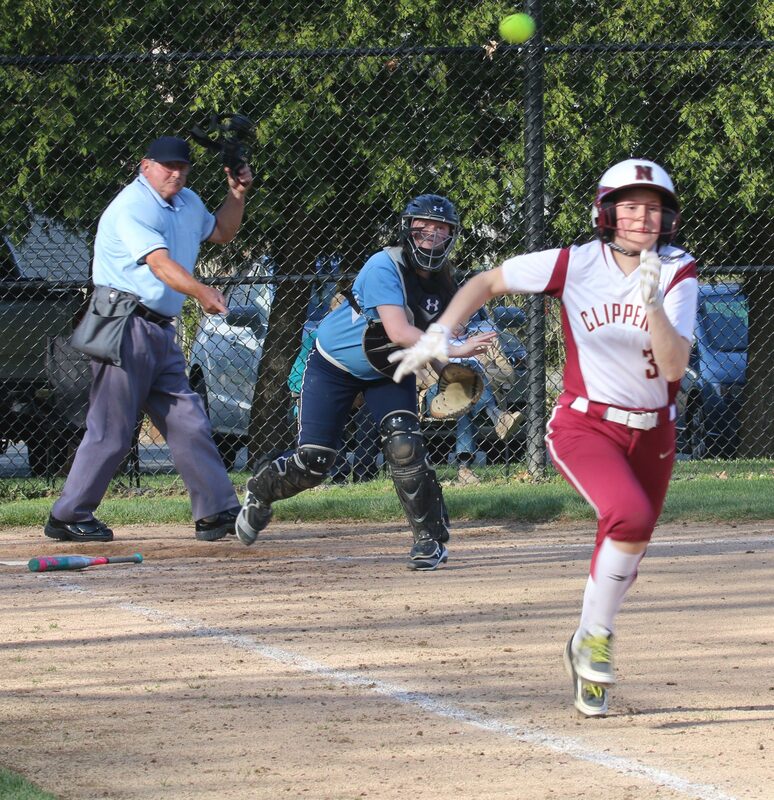 Tara Driver put North Reading ahead in the 7th with a 2-out, 2-run single. 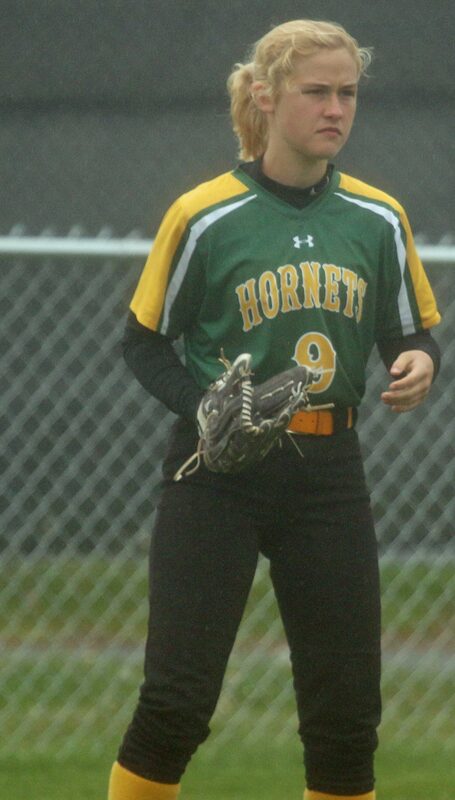 (Byfield MA) North Reading rallied for six runs in the final two innings to overtake Triton, 11-9, on a cold, drizzly Monday afternoon of Cape Ann League softball. The Hornets (16-1) were two outs away in the seventh inning from getting their CAL winning streak stopped at thirty-one straight. 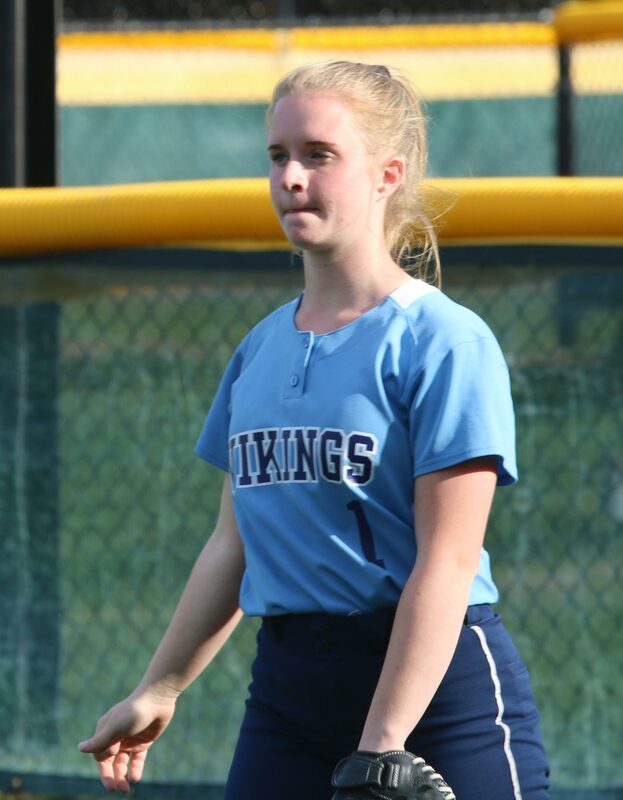 But the visitors capitalized on a throwing error (3B Tessa Boyle) and some daring baserunning by sophomore Emma Valade to tie the score. 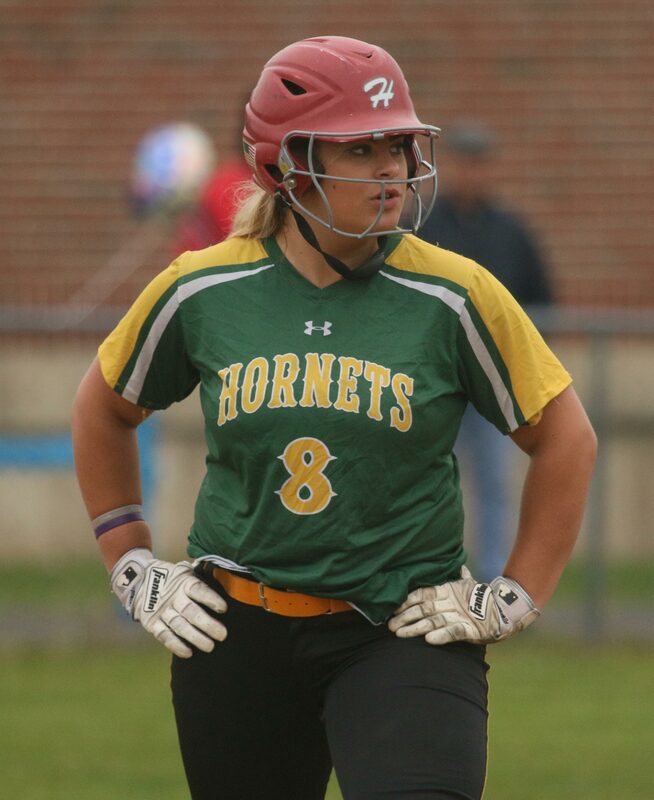 Triton RF Kendall Mitchell ran toward the infield to record the 2nd out of the inning and might have had a play at the plate to end the game but didn’t throw home right away and Emma was in easily. 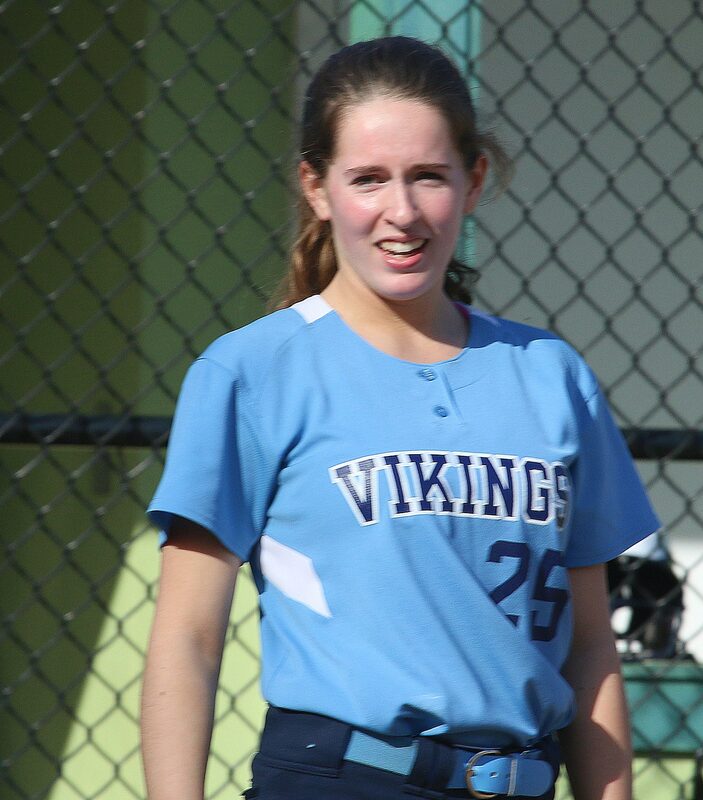 Now with runners on second and third with two outs, the Vikings faced Tara Driver (one home run). 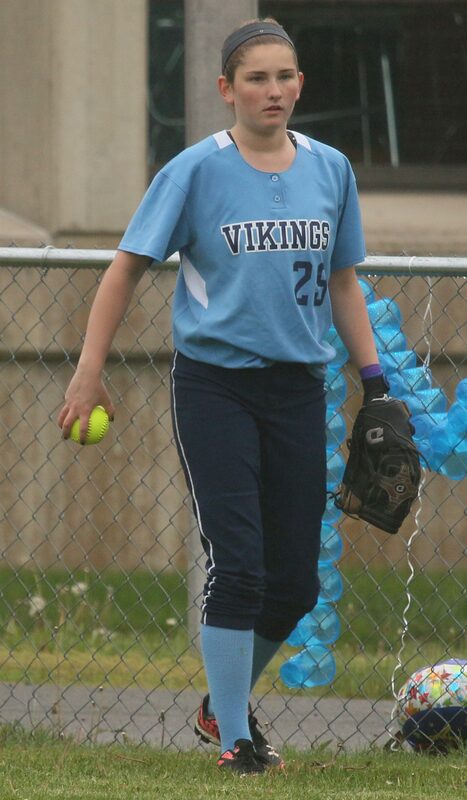 The thought of walking Tara was probably considered but the next batter was Cassidy Gaeta (two home runs). The choice was to pitch to Tara. 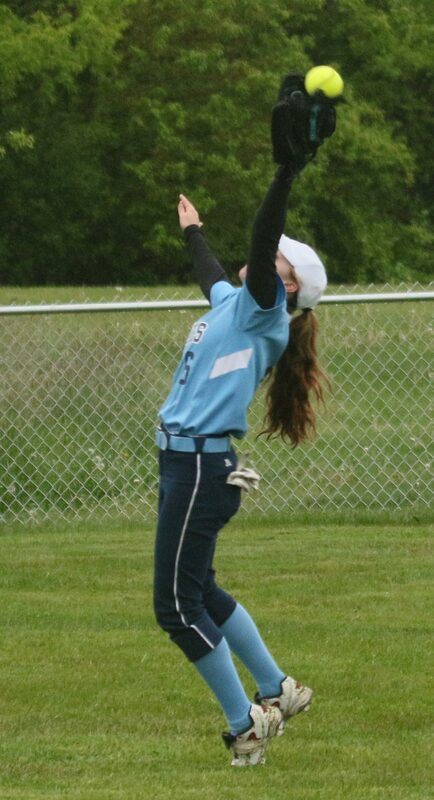 This time the junior did not go long ball but instead went “smart” ball driving an outside pitch through the Triton infield into right field scoring two teammates. 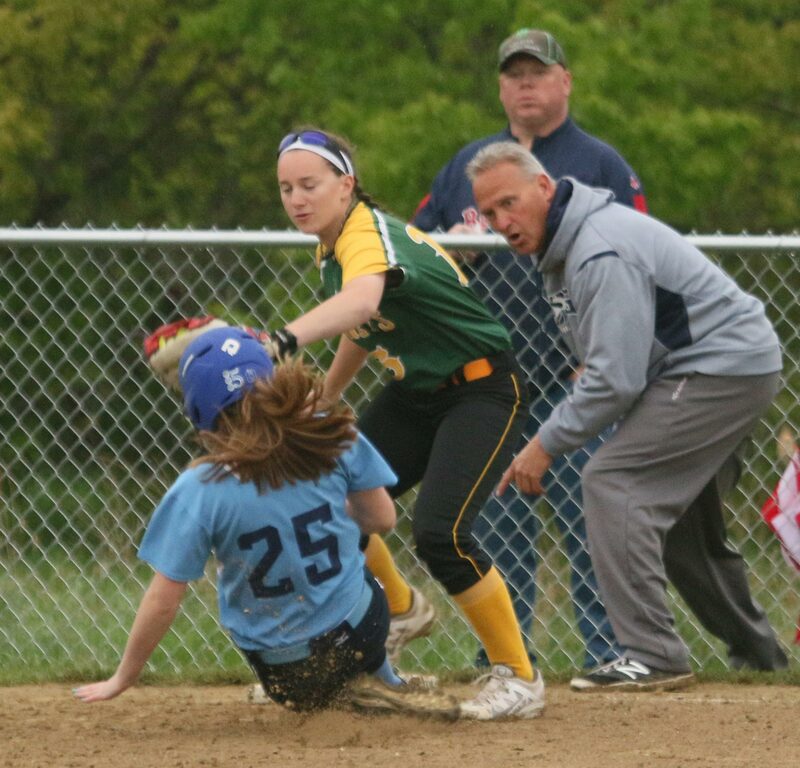 The two-run cushion held up in the Triton seventh and North Reading maintained their lengthy CAL winning streak that goes back to May 18, 2015 when they lost to Pentucket. The Vikings (10-7) have lost three tough ones (two by one run) in a row. 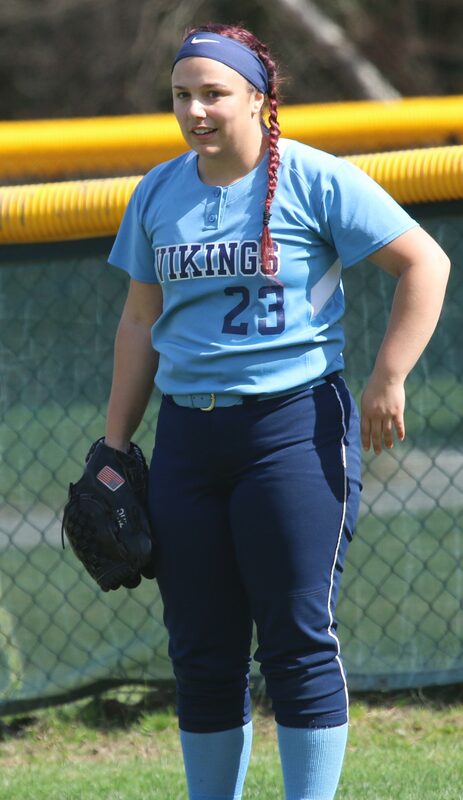 Triton whacked sixteen hits against Christina Simblaris and Cassandra Pascucci and had baserunners in every inning but the fifth. Everyone in the Vikings’ batting order reached base. 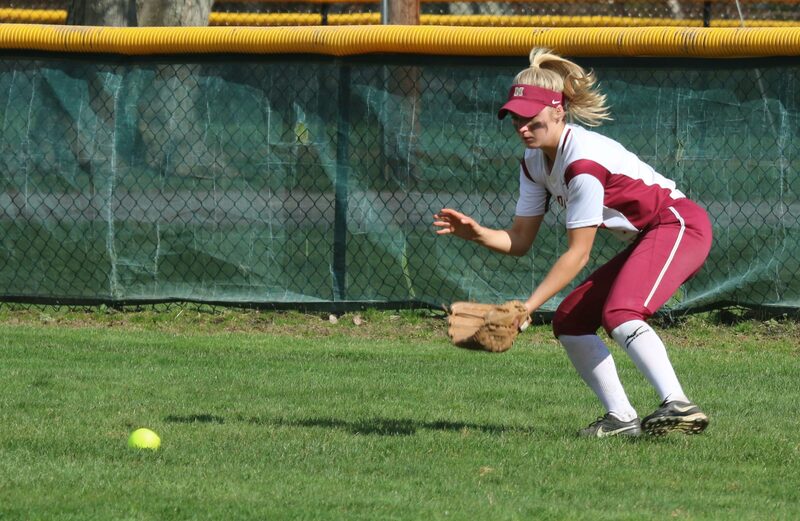 Steady shortstop play by Bridget Sheehan continues. 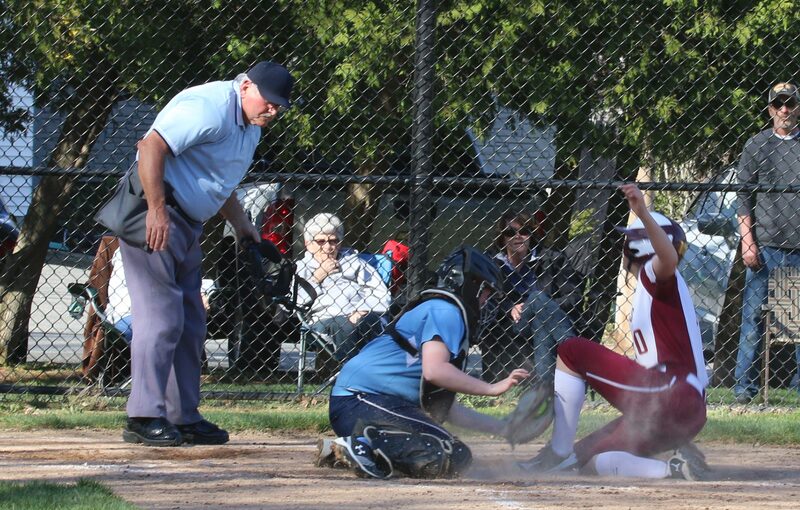 Pitcher Katherine Quigley had a life-threatening moment when Cassidy Gaeta ripped a liner at her. Nice to see that Katherine was wearing a mask. I would like to see masks on everyone in the infield. How did Triton lose this game? Too many mistakes. The home team survived an infield error (3B Tess Boyle) in the second but a drop by Kendra Beauparlant (LF) scored an NR run in the third. 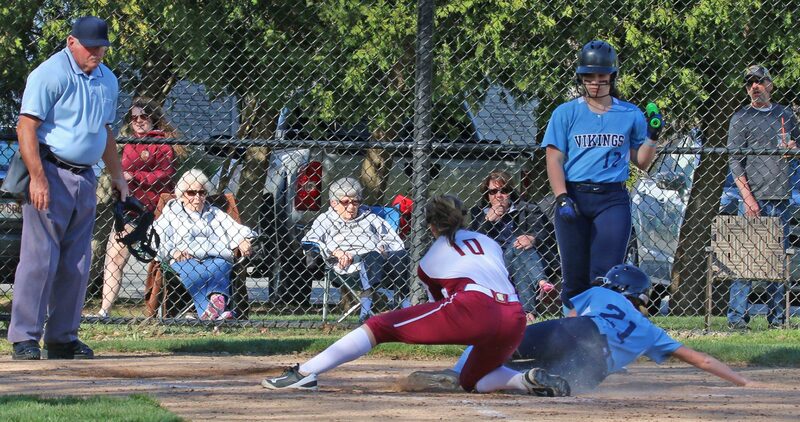 Bad baserunning caught up to Triton in the 3rd when pinchrunner Taylor Penniman tried to score from 2nd on an infield pop single. 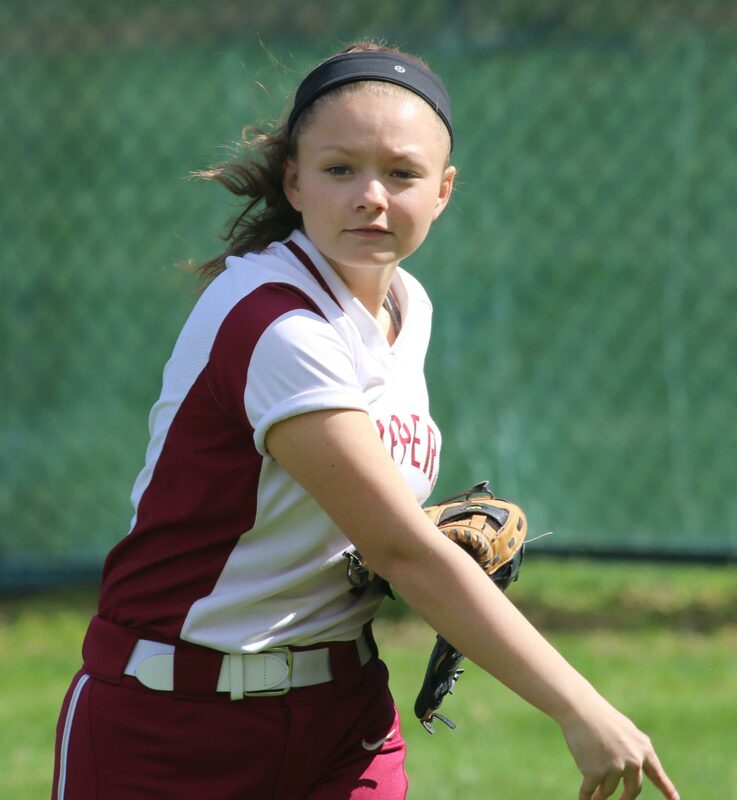 In the 4th Colleen McCarthy attempted to advance from second to third on an overthrow but was gunned down by North Reading CF Haley MacIntyre. Plenty of hitting stars on both sides. 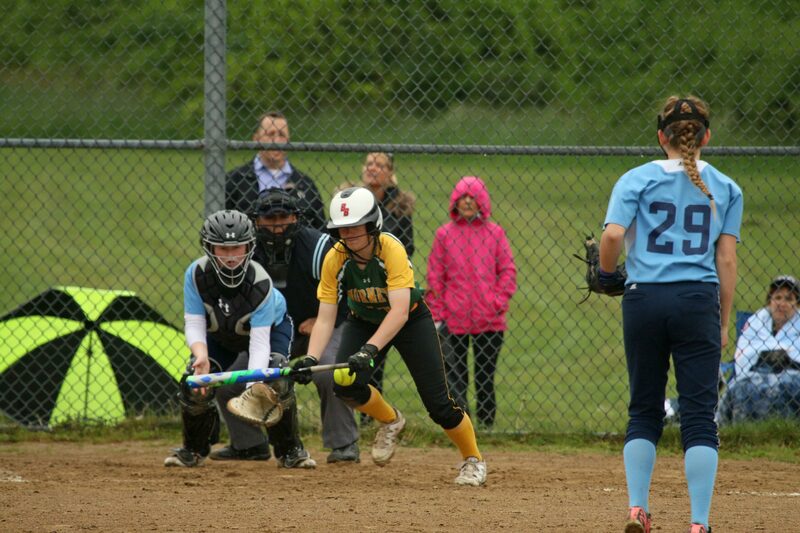 Triton’s Zoe Cesati, Bridget Sheehan, and Olivia Doane each had three hits. Zoe scored three times. 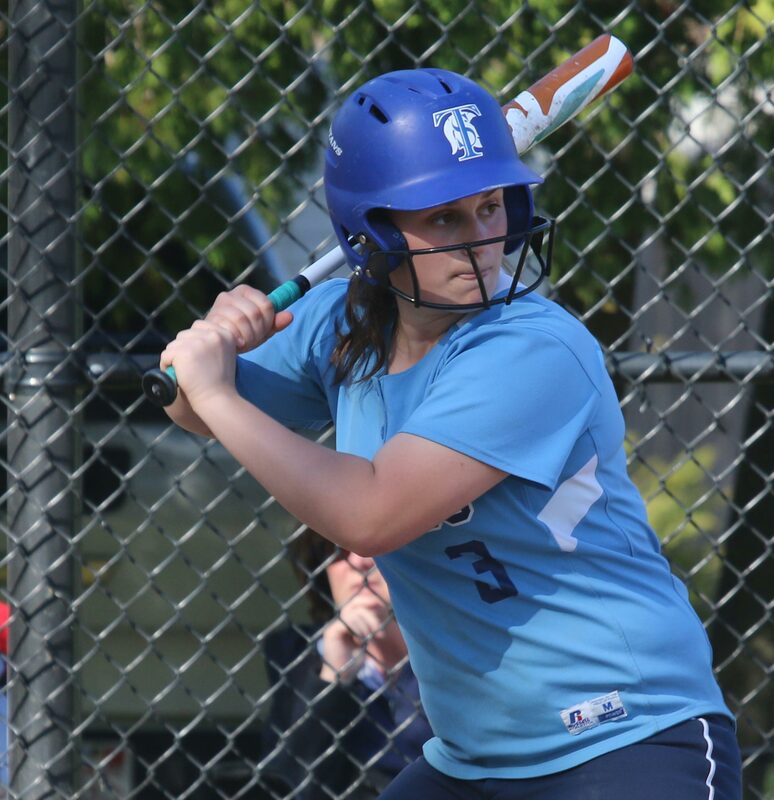 Emily Karvalis drove three runs across while Olivia and Colleen McCarthy had 2 RBI apiece. 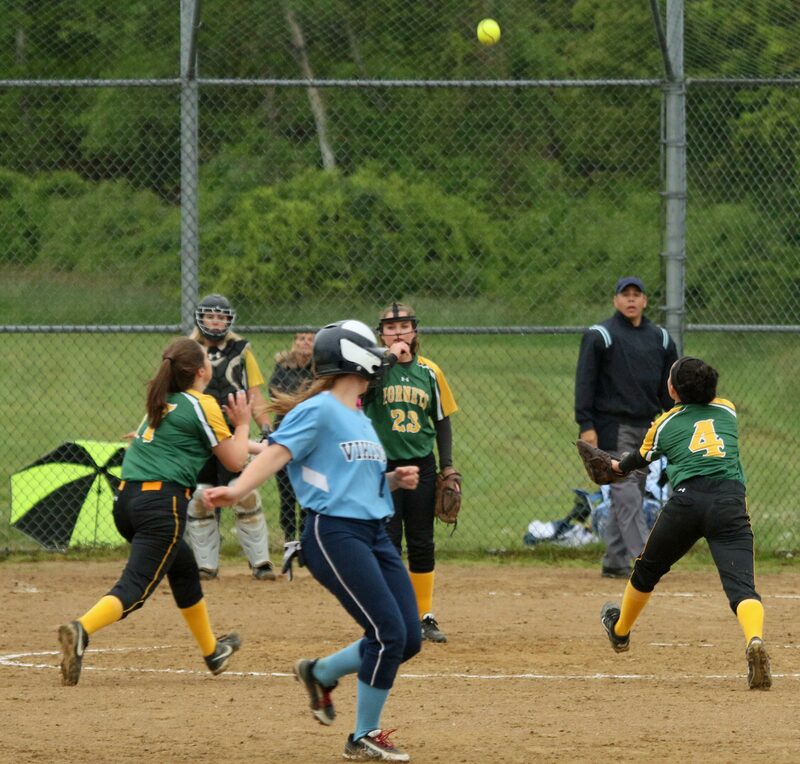 North Reading collected eleven hits off freshman Katherine Quigley. Three of them left the field. 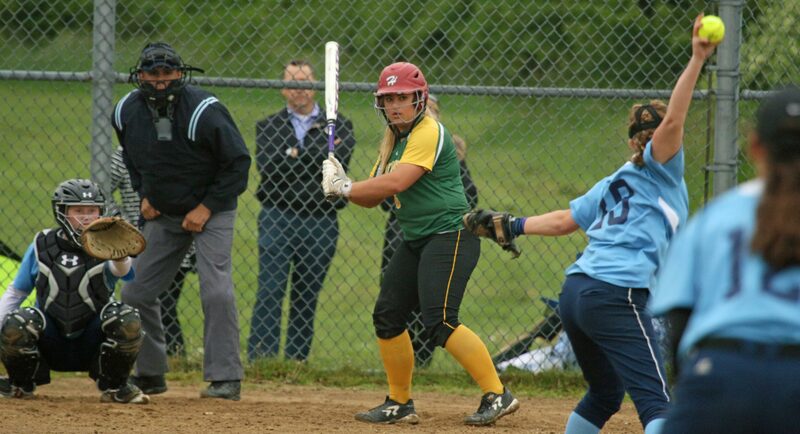 Tara Driver had four hits, drove in three runs, including the game winners, and scored three. 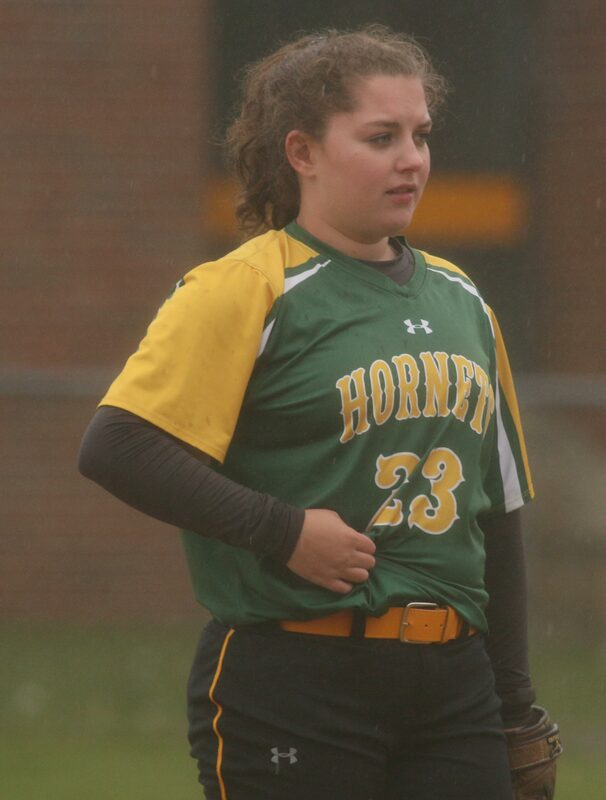 Senior Cassidy Gaeta had two two-run homers. 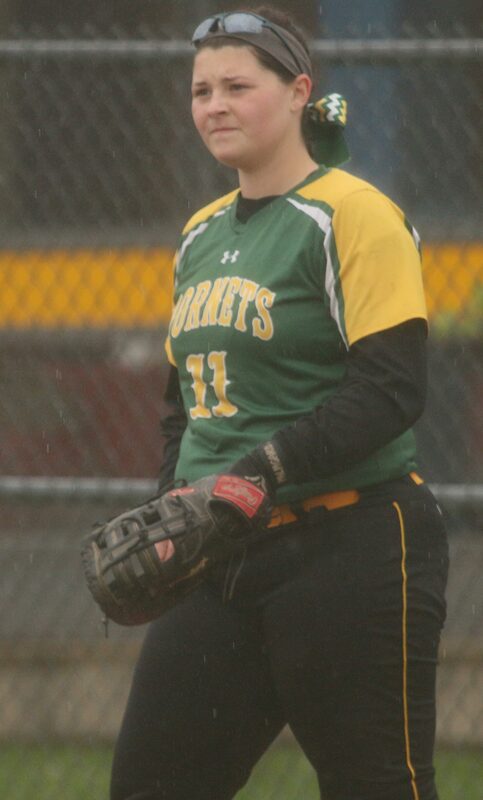 The Hornets only loss so far was last Thursday 6-4 against Marblehead. Triton can take heart that they gave NR a competitive game. That hasn’t been the case in recent years. In 2016 NR won 17-6 and 12-0. In 2015 it was 16-0 and 15-1. The weather continues to unimpress me! I’m wearing winter boots and a winter hat on May 22nd? It was an entertaining game despite the conditions. Seniors from both teams were honored before the game.